Former Indian Captain and Indian Team director has submitted his resignation from his post as media representative in ICC’s prestigious Cricket Committee. The incumbent chairman of the ICC Cricket Committee is, recently appointed Team India head coach, Anil Kumble. Kumble is also the face behind pipping Shastri to the job of media representative in ICC after getting nod from high profile Cricket Advisory Committee. 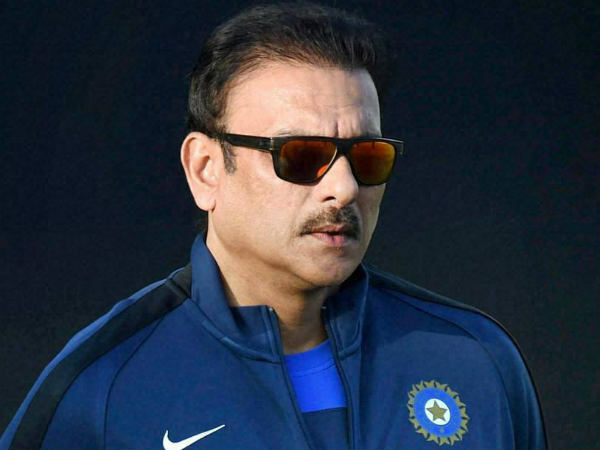 Ravi Shastri today handed over his resignation from the post of media representative in the cricket committee without giving any detailed reason. Speculations have registered that Kumble’s appointment for the head coach of Indian Team a day before, for which Ravi Shastri had an eye for a long time could be one of the reasons of his resignation. There were also some intense speculations that the former all-rounder may have resigned as he is yet to come to terms with rejection that led to a widely publicised spat with Cricket Advisory Committee member Sourav Ganguly. “I have already submitted my resignation. There are personal commitments and I have been there for six years,” Shastri told PTI today without further elaborating anything. “Just like Sourav, Ravi is also an emotional man at one level. He is yet to come to terms with rejection. Since he became a media representative as BCCI nominee, probably, he is not willing to continue in that post. Also with Kumble expressing his opinion to continue as chairman, it might just be uncomfortable for both of them to sit in a meeting,” a BCCI source told PTI today. qxjVsF Wow! I cant believe I have found your weblog. Extremely useful info.